The Parks & Wilson mix is full of so much depth you can swim in it. The Blades, G & The Droid's remix is pure class. A lesson of progressive music, it manages almost the impossible: keeping a strong dark vibe throughout its entirety while being summer-ish and even relaxing. It's hard to put it into words, but I would say it's that kind of a rare tune that can make you smile and be sad at the same time. And now that I said it, I believe it would best translate into "nostalgia". Yes, that would be it. If there ever was a perfect example of nostalgia expressed through progressive beats, I think this track is it. The Parks & Wilson's Scalpel Mix on this is incredible. It can be mixed over many other styles for an epic build -- often I'll drop it over a Luke Chable or Steve Porter. Great album. What a keeper. Possibly one of the best prog house tunes of 2002. 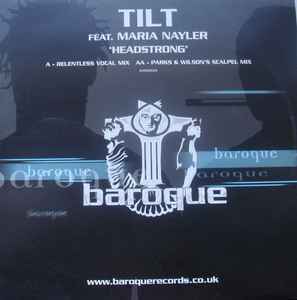 Maria Nayler's vocal does not sound like it is ON the track, more like it is underneath or intertwined with the track. Mind blowing - a fantastic way to spend 10 mins of your life.